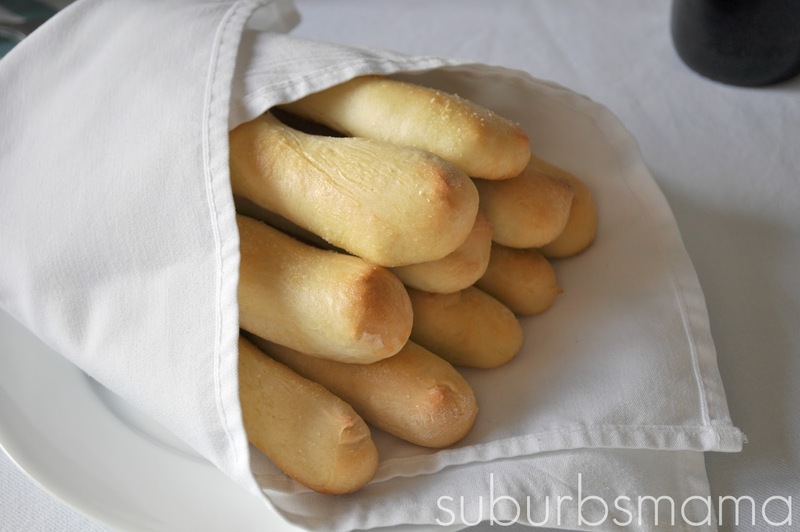 These breadsticks are really easy to make and will complete any meal! Add salt, butter, 2 cups of flour. Mix the dough on low. Add the rest of the flour a half cup at a time, until dough the dough scrapes the side of the bowl clean. Mix the dough on medium speed for about 5 minutes, until its soft and easy to work with. Let the dough rest in the bowl for an hour. Roll out the dough into a long log. Cut the dough into 12-14 pieces. Roll these pieces into 6 inch snakes. Spray 2 cookie sheets with oil, and lay out the breadsticks with atleast 1 inch between them. Let rise for atleast one hour. Put the breadsticks into the oven to rise for 15 minutes. Take the breadsticks out and brush with melted butter and sprinkle with sea salt. Bake the breadsticks for 12-14 minutes or until golden brown. While they are baking, mix the rest of the butter and 1 tsp of garlic powder. When the breadsticks are golden brown, remove from the oven and brush with the butter/garlic mixture.